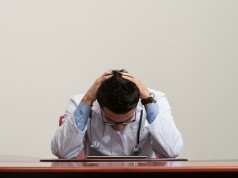 a report from the Massachusetts Medical Society (publisher of the New England Journal of Medicine), which likened physician burnout to a “public health crisis.” To address that crisis, the report recommended addressing physicians’ mental health needs, improving EHRs and appointing chief wellness officers. 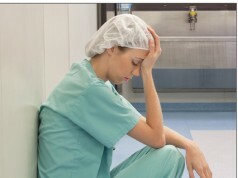 Medscape also recently released data indicating that 44% of U.S. doctors report feeling burned out. Those data show that burnout is particularly bad for female physicians and urologists, neurologists, and physical medicine and rehab specialists. 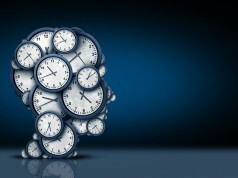 And finally, in a brief glimmer of good news, research has found that physicians who read nonmedical material for pleasure—think literary fiction, nonliterary fiction (airport novels) and nonfiction—do better on measures of empathy and report less exhaustion and depersonalization. So next time you have a hard day, give yourself permission to pick up a good book. 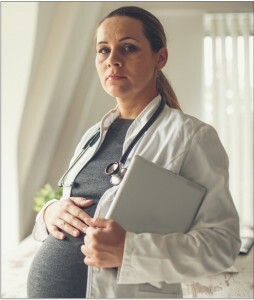 DO DOCTORS who are mothers face discrimination in the workplace? A study in The BMJ concludes that the answer is “yes” based on an analysis of nearly 1,000 responses to an online survey. Researchers asked women to describe their experience with workplace discrimination. They found that respondents reported gendered job expectations, compensation inequities, fewer opportunities for career advancement and difficulties achieving work-life balance. Respondents also reported they were denied salary increases or bonuses because they took maternity leave or had their contracts terminated or modified after announcing they were pregnant or returning from maternity leave. 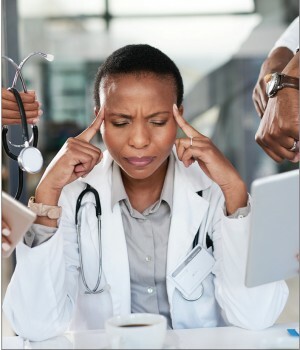 FierceHealthcare coverage of the research notes that it follows two recent studies in JAMA that looked at issues residents who are parents face, including a lack of paid time off for family leave.